Great feel to this image. It captures winter perfectly. Robert, Superb job with the exposure. I like this one. Maybe a bit off the top? The heavy snowfall adds a wonderful winter mood to this well-composed image, Robert. I like the image as presented, but I feel you could make it even stronger by cropping some off of the top, as Dan suggested. Very nice shot showing nicely snowing mood. 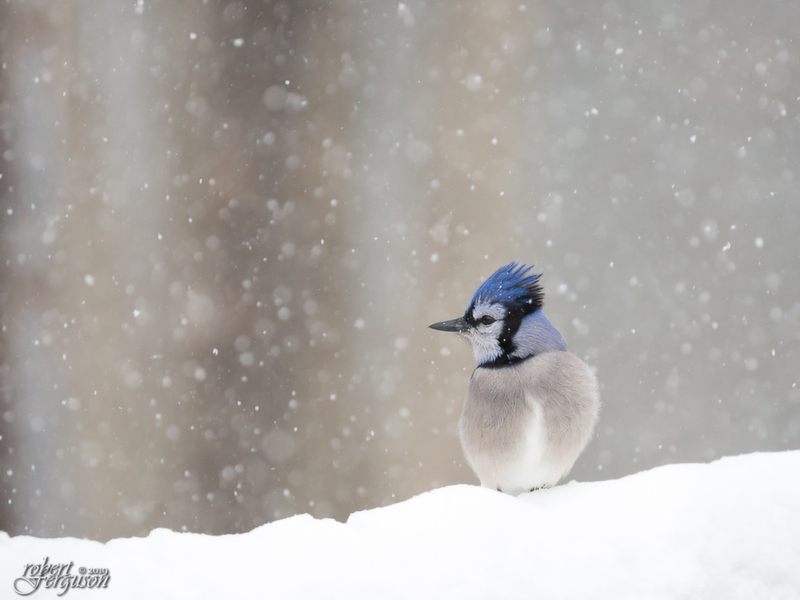 Lovely snowy mood- have to agree , Blue Jays are great color to have around in the winter.